If I were to show you a headline from the Wall Street Journal announcing ‘Say Goodbye to the Office Cubicle’, you might date it at any time between the mid 1980s and 1990s. Maybe earlier. But it was actually in yesterday’s issue, dated 2 April 2013. Now, we could be amused by this or act all aghast at the sight of those dinosaurs yet to adopt a norm of open, collaborative and shared spaces never mind the ‘digital workplace’; or we could conclude that this tells us several important things about how those people and organisations who don’t keep a daily eye on workplace trends view the buildings they inhabit. 1. Not only are many people not all that interested in new ways of working and new workplace design models, they are happy with their assumptions. We might argue they are wrong in that but we need to accept it as a fact of life. Doubtless their preconceptions will be shaken at some point, even if that means merely asking them to get rid of the 1960s model of design they currently think is how everybody works. 2. There is nothing wrong with cubicles in the right place. Actually, there’s nothing wrong with any model of office design if it’s the best for a particular organisation or group of people. We shouldn’t fall into the trap of believing that there is a linear evolution of design that leads to a single accepted paradigm. In equivalent biological terms, not all roads lead ultimately to mankind. 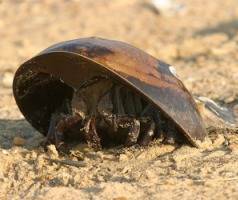 Some lead to horseshoe crabs which look primitive but have found their niche, stuck with it successfully over millions of years and so have been around for a lot longer than the human race is likely to manage. 3. Some of the things that were true in the past are still true now. Year Zero for the North American cubicle was 1968 when Bob Propst wrote a book called A Facility Based on Change. It was a book that explored the thinking behind his design for the Action Office furniture system, remains one of the few truly great pieces of writing about workplaces to this day and still contains a lot of truth, not least those bits of it that deal with the constant factor in all workplaces; the human being. No wonder some of the products would find a home in even the most open office to this day. It’s just a shame that in the Wall Street Journal slideshow that accompanied the article nothing seems to happen between 1968 and 2013. 4. The past isn’t the only foreign country. The cubicle never really caught on in Northern Europe but then we had different buildings, different cities and different approaches to work. Those things are either immutable or become hardwired and so it takes a while to shift the cultural norms that inform the way we design and manage spaces. And even when they are shifted, they are likely to contain residual DNA from what went before. Still, it was interesting that Jacques Tati used the idea of the cubicle to satirise offices in his film Playtime. 5. The revolution is in the head. For workplace cognoscenti, the very idea that a shift to an open form of office is seen as revolutionary can seem odd. But it will be perceived as a major change by people who are used to something very different. So challenging them to accept a magnitude of change beyond open plan to some of the even looser models of workplace design might be pushing things too far.